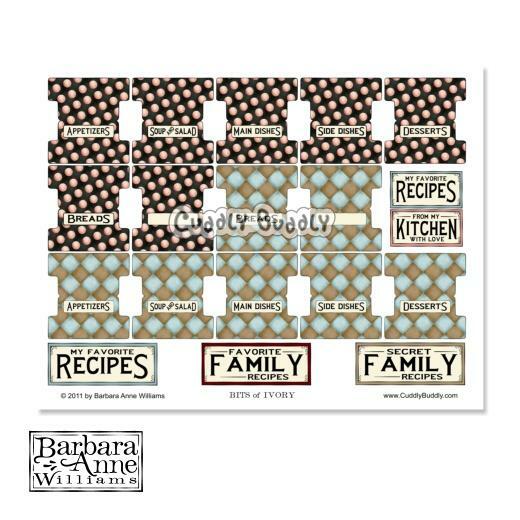 This Printable project page provides the tabs for two recipe sets. 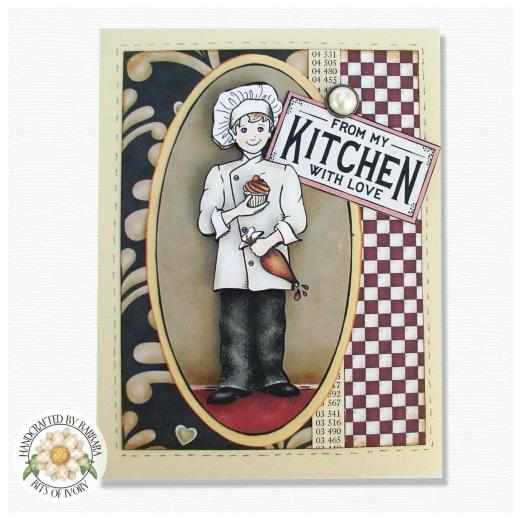 Just print and attach to cardstock cut to size, or pages of a recipe collection. Coordinates with the Alonzo's Kitchen decoupage sheets and digi papers. One high quality .jpg image in an instant download zipped folder. If you need a larger or smaller image than that supplied 'as is' or would like to use an image on it's own, open/import the jpg in a graphics program and crop and resize the group of or solo images to suit your needs.